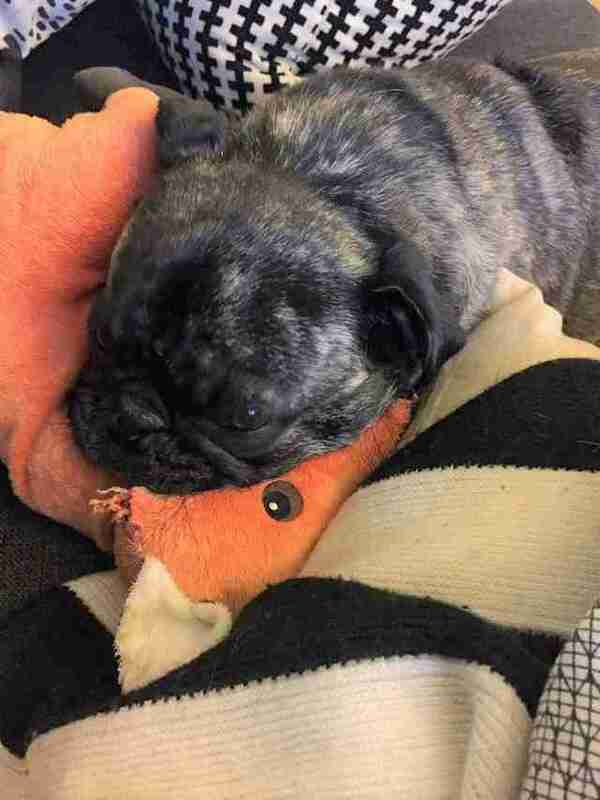 Dog loves his toy so much but the store no longer sells them. Love is tearing Rudy's toy apart. 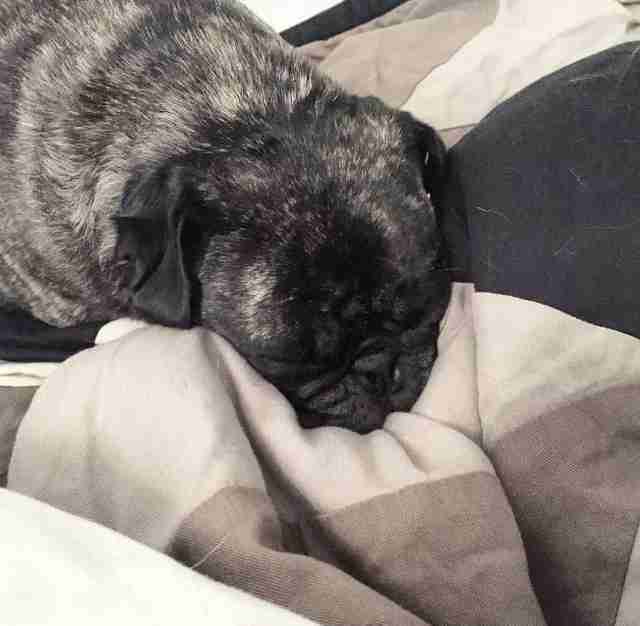 And with it, his little pug heart. You see, the 4-year-old dog has been loving a very particular kind of toy pretty much since he was old enough to chew. It's a stuffed fox, technically called the Vandring Räv, where it was sold at Rudy's local Ikea in New York City until recently. 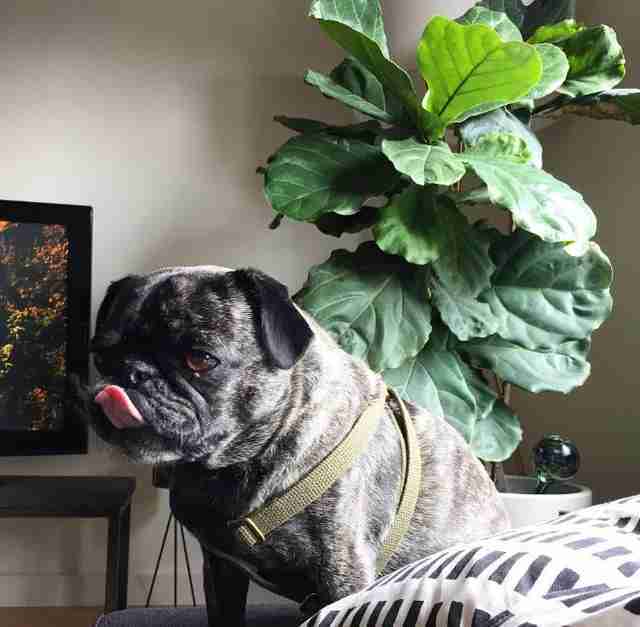 While the toy was designed for children between the ages of 3 and 7, its description reads like a personal ad for lonesome pugs: "Good at hugging, comforting and listening and are fond of play and mischief." When his owners, Jason Byck and Hana Tran-Byck, brought home the first set of stuffed foxes - they're sold in sets of two - it was love at first bite. The toy, along with all of its clones, was named Foxy. "When we brought it home and showed them to him, he immediately started crying," Tran-Byck tells The Dodo. They were sobs of love, of course. Or, as Tran explains, "a whiny noise he makes when he really wants something." 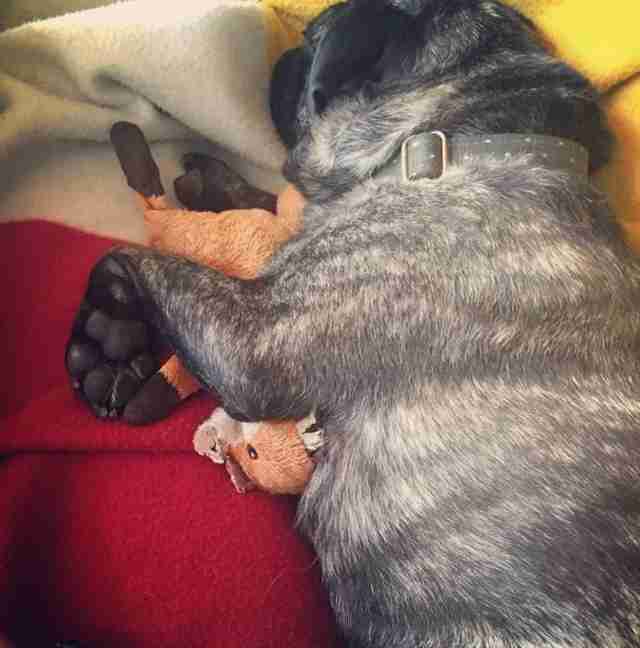 Rudy napped with Foxy. He invited everyone to behold how lovely Foxy is. And he gets up in the night to haul Foxy into bed - especially if his owner foolishly forgets to tuck him in with his one-and-only. 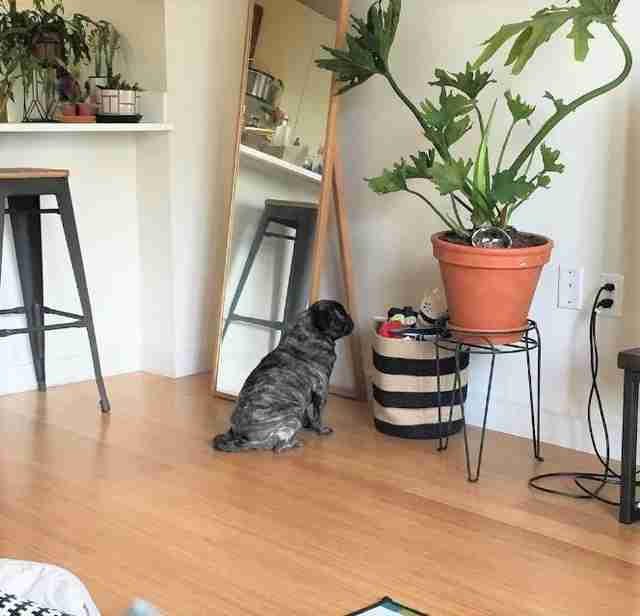 "He sneaks it into the bedroom in the middle of the night and brings it into bed and I wake up in the middle of the night with a wet toy brushed up against my leg," Tran-Byck says. But Foxy hasn't been holding up well against Rudy's onslaught of adoration. In fact, Rudy's slobbery kisses have worn down countless foxes - all of them have been retired and seamlessly replaced. "The foxes usually get really torn and ratty," Tran-Byck explains. "Sometimes he likes to eats the stuffing, so we pull out a lot of the stuffing so it ends up looking like a sad rag." Rudy doesn't seem to have noticed the transition from tattered worn-down fox to bright and shiny new one. But Rudy does notice when his owner tries to pass off another toy on him. "I've tried other Ikea toys - there's a pig one, too - and he's not interested in it," Tran-Byck says. "It's just the fox." 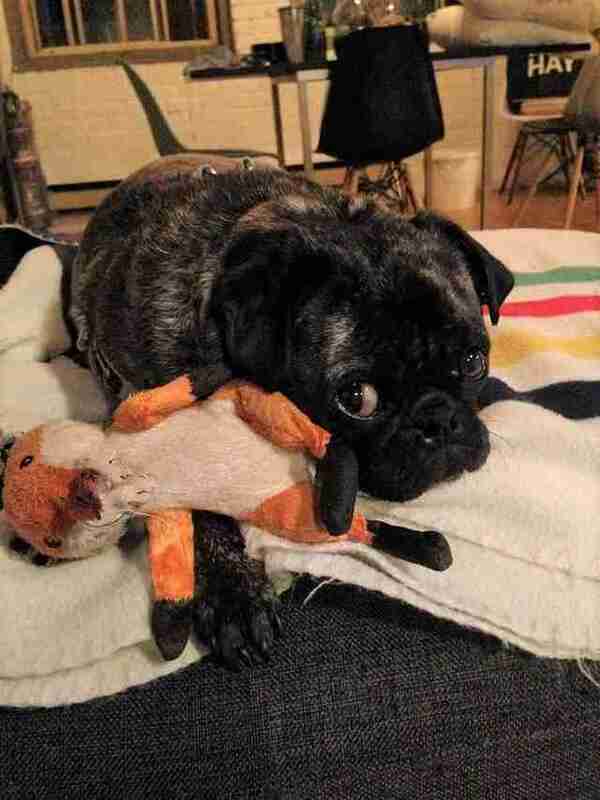 Tran-Byck has even tried hiding Foxy, hoping to give Rudy's other toys a chance. 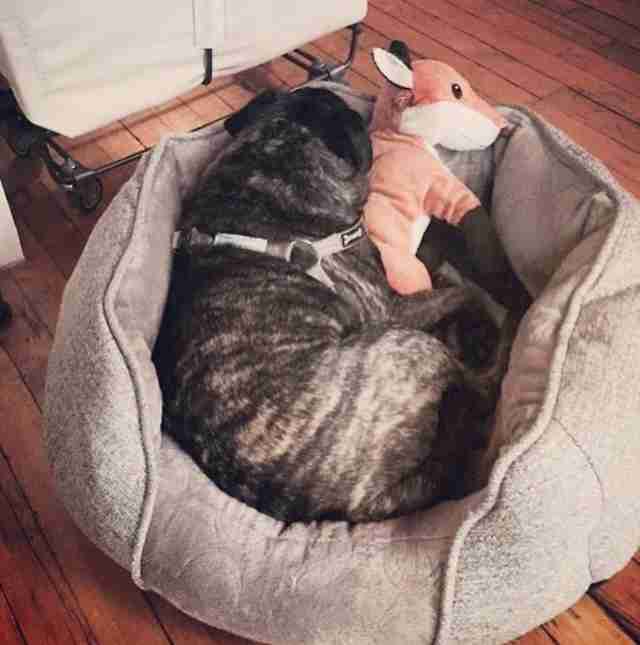 Maybe it's because Foxy has always been there for Rudy - when he was recovering after being hit by a car, and through the big move from Toronto, Canada, to New York City. 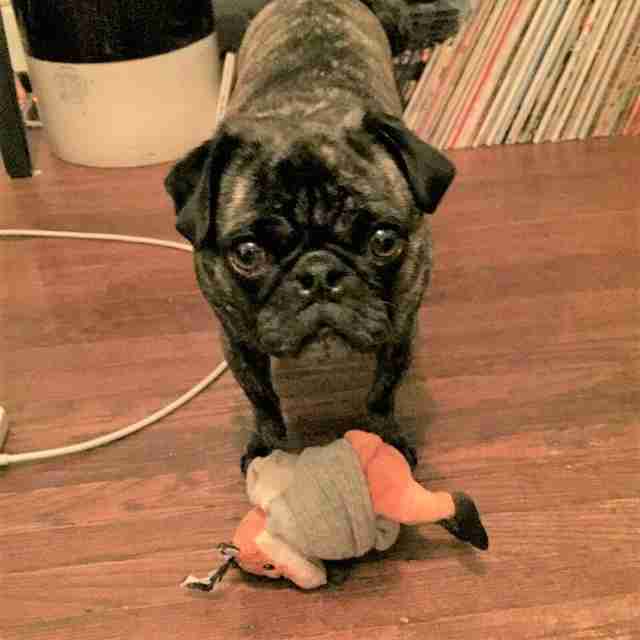 But today, Rudy may be down to his last fox. And there's no telling what kind of catastrophe that could spell for his lovelorn heart. 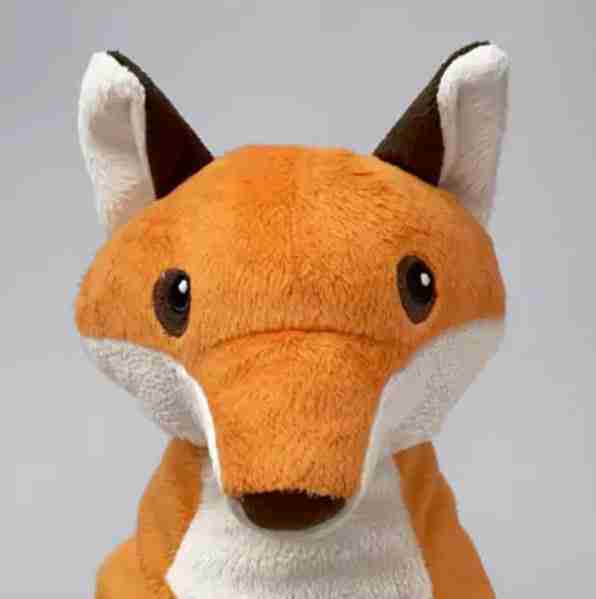 Ikea has stopped selling the toy fox at his local Ikea. "We recently went to Ikea to find this toy and it wasn't there," Tran-Byck says. "I then went on to the U.S. Ikea website and it wasn't there and also tried the Canadian one. No dice." Think you might have an extra Ikea fox hanging around? Send an email to rudytranbyck@icloud.com Before Rudy's bed gets too cold. 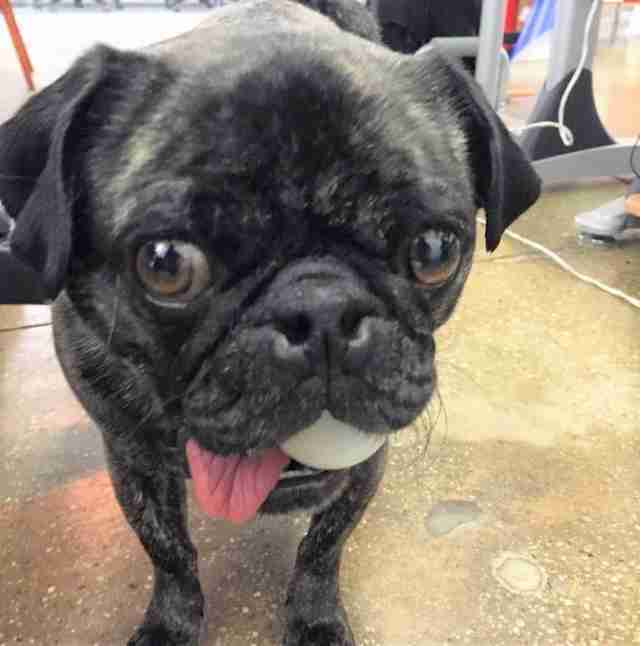 You can also follow Rudy's ongoing adventures on Instagram.